Using essential oils as part of your skin care routine might not sound like the most brilliant idea, especially if you’ve been used to using high-end skin care products. In reality however, essential oils are some of the best natural solutions you can find when it comes to skin concerns. They have been used for years to treat a number of skin issues, like acne, eczema and even rosacea. In case you’re still not buying the idea, here are 7 ways using essential oils can benefit your skin. When it comes to treating all kinds of wounds and sores, your best bet is eucalyptus oil. It naturally has antiseptic and antimicrobial properties that can prevent infection and speed up the healing process. In addition to that, eucalyptus oil is also great when it comes to natural pain relief. If you have been bitten by an insect, applying a few drops of the oil can help lessen the discomforts. Having oily skin isn’t only uncomfortable; it can also put your skin at risk of breakouts. Instead of investing your hard-earned money on products that promise to put the issue under control, put your money on geranium oil instead. It can regulate sebum production and stimulate new skin growth. Lavender oil is considered as one of the best essential oils for acne. It has the ability to reduce redness, tone down inflammation and help diminish scarring. Plus, it can relieve stress too. Another nice thing about this oil is that it’s one of the few essential oils you can use directly on your skin. But, of course, it’s still best if you can test your skin’s tolerance first. Try using it pure on a small area of your skin and if you encounter any irritation, consider diluting it with a carrier oil. Tea tree oil is another good option for addressing acne. In fact, it doesn’t just treat acne. It has a handful of benefits to people experiencing frequent skin breakouts. The oil has the potential to kill P. Acnes which are considered as the most common culprits behind acne. It can also relieve inflammation and provide disinfecting properties to kill other harmful microorganisms that can cause infections. The oil also has the capability to relieve itching as well the burning sensation that goes with pimples. The best organic castor oil has the ability to deeply hydrate the skin. As it penetrates the skin, it promotes better blood circulation and stimulates the production of collagen and elastin. The combination of these effects, make the oil really effective in delaying fine lines and wrinkles. Before you use castor oil, make sure that you mix it with a carrier oil. Jojoba, coconut and sesame oil are great options. In addition to delaying the signs of skin aging, castor oil can also be used for oil cleansing. It’s a method where you use oil to lift off deep-seated dirt, oil and dead skin cells from your pores. Palmarosa is one of those essential oils you can rely on when it comes to relieving itch, particularly if it’s caused by dry skin. This property makes it particularly helpful for those with eczema and dermatitis. Peppermint oil is also great for solving this skin concern and it’s very versatile. You can add the oil to your bath before soaking in it or directly massage the oil on the affected part. Having saggy skin isn’t pretty and this is why a lot of people are looking for ways to tighten their skin and make it look years younger. If this is exactly your case, then adding frankincense oil can be a big help. The oil can increase the elasticity of the skin and is recommended to be used around the eye area. Its molecular structure is so small that it can deeply penetrate the skin. Because of its structure, the oil is able to stimulate skin cell regeneration and replace old and dead skin cells. Patchouli oil is also great in tightening the skin. It works specifically well with wrinkles and cellulite. It’s one of the best oils to use if you’ve lost a significant amount of weight or after pregnancy. Most of the time, expensive scar and blemish removal creams aren’t your only solution in getting clearer and fairer skin. Lemon essential oil can get the same job done, too- without the harmful side effects of chemicals or expensive price tags. Lemon essential oil posseses one of the most popular properties of lemon juice and that is to reduce scars and brighten dark spots. It contains a high amount of vitamin C which can trigger collagen production. Collagen, in essence, can keep the skin firm and smooth. It can also encourage the growth of new cells. However, since lemon essential oil is too strong, you need to use a carrier oil with it. You can choose among almond, olive or coconut oil. Once you have achieved the right mixture, make sure to do a sensitivity test first. If you see any negative reactions, such as itching, redness or rashes, adjust the potency of the mixture by adding more carrier oil and test again. To get the best out of this oil, you have to be strict in using it daily. 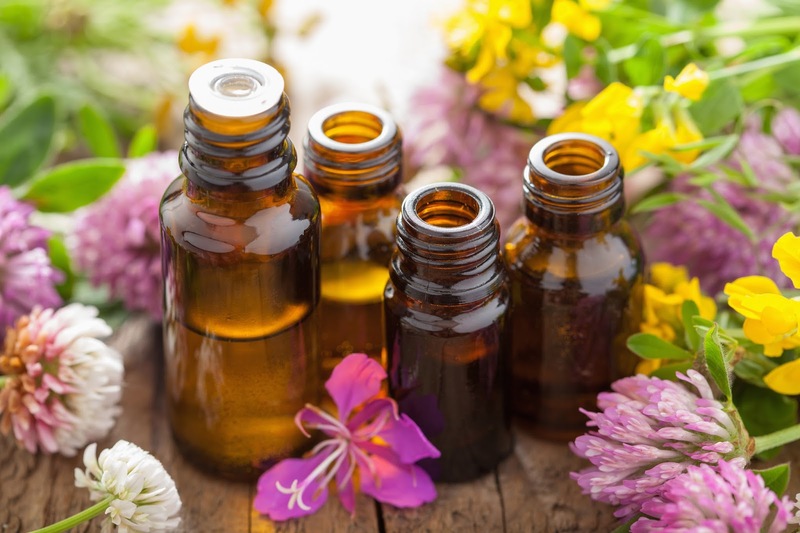 Essential oils possess properties that can address a number of skin issues. However, despite their benefits, you still shouldn’t feel too relaxed when using them. To ensure your safety, make sure to do your research first. Find out which essential oil can solve your specific concern and how exactly you should use it. Know the best places to get the oil and what you can expect from it. It’s essential that you know the right preparation, too. Some oils are too potent that they can leave undesirable effects, like irritation and sensitivity issues, when used improperly. "Hannah Do is the founder of Thank Your Skin, a beauty blog dedicated to provide honest skin care advice and information. She aspires to help her readers achieve their most beautiful skin by sharing personal tips learned through both years of experience and thorough research. Check out ThankYourSkin.com to learn more about her work. You can find her on Twitter, Pinterest and Facebook"